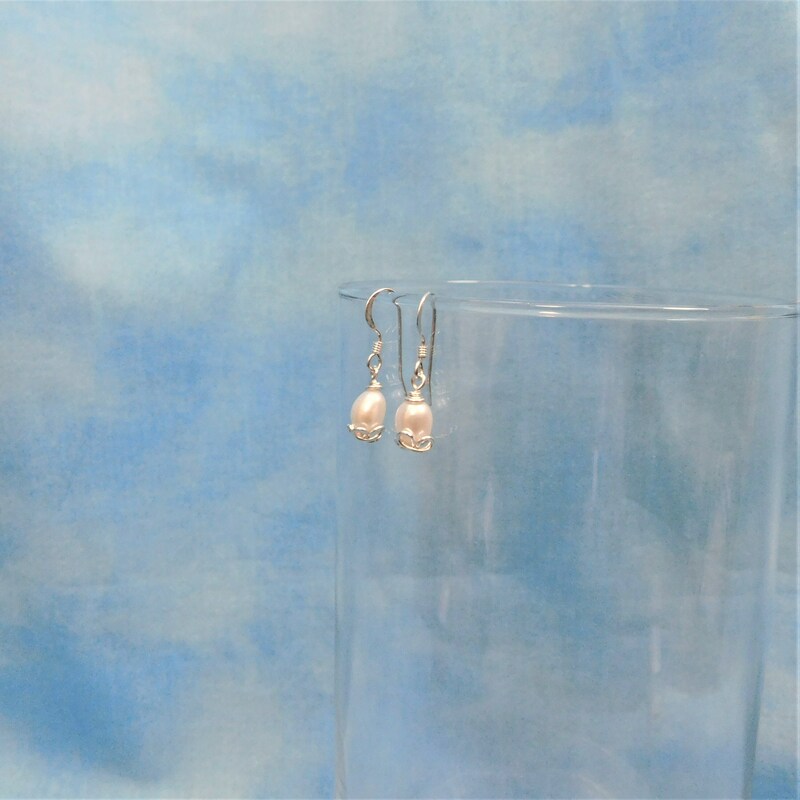 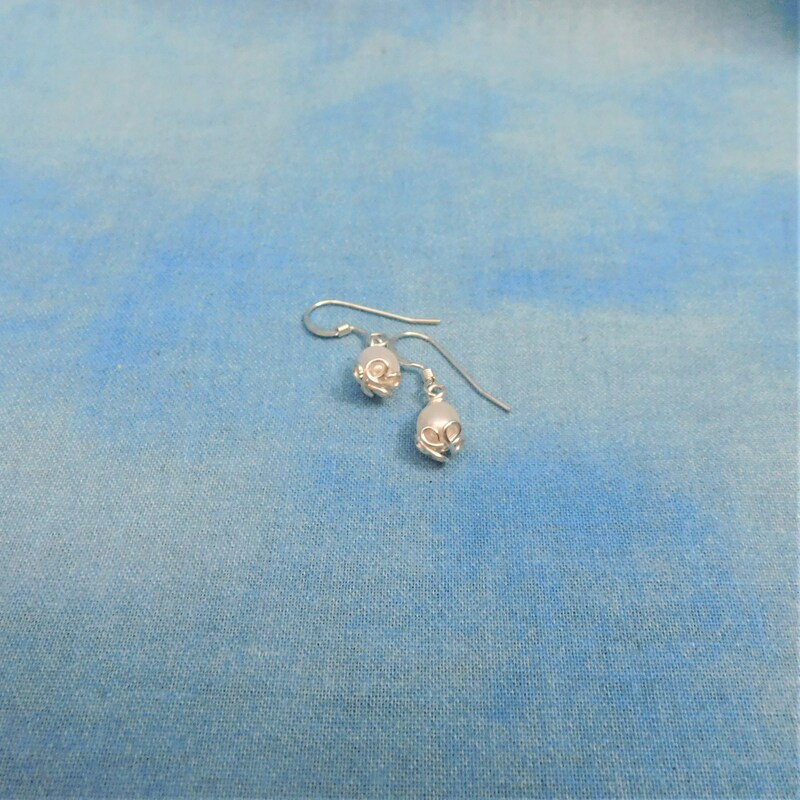 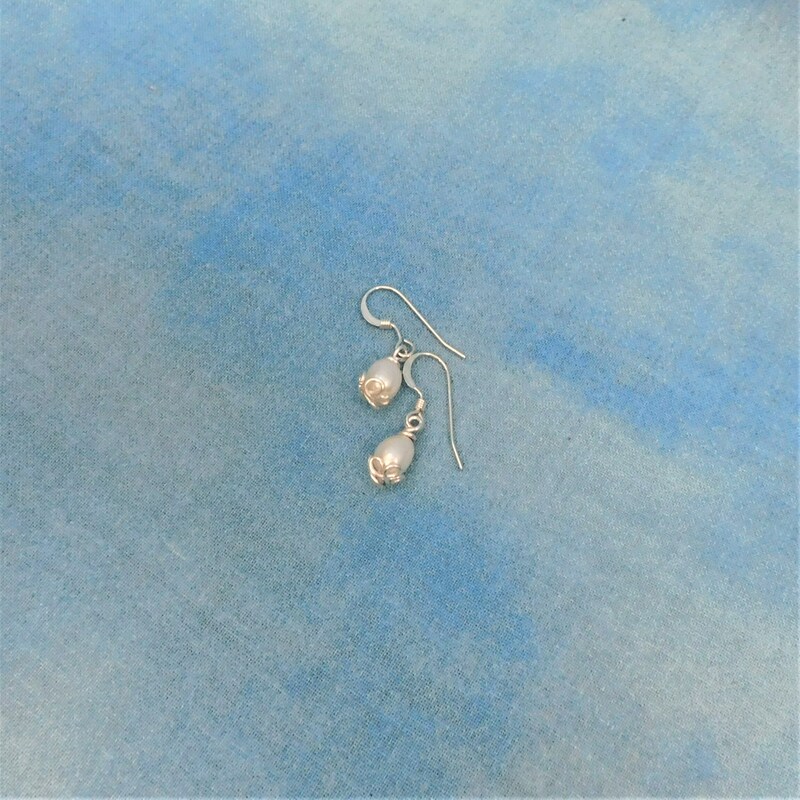 White Freshwater pearls are wire wrapped and hung from dangle style clip-ons with the look of pierced. 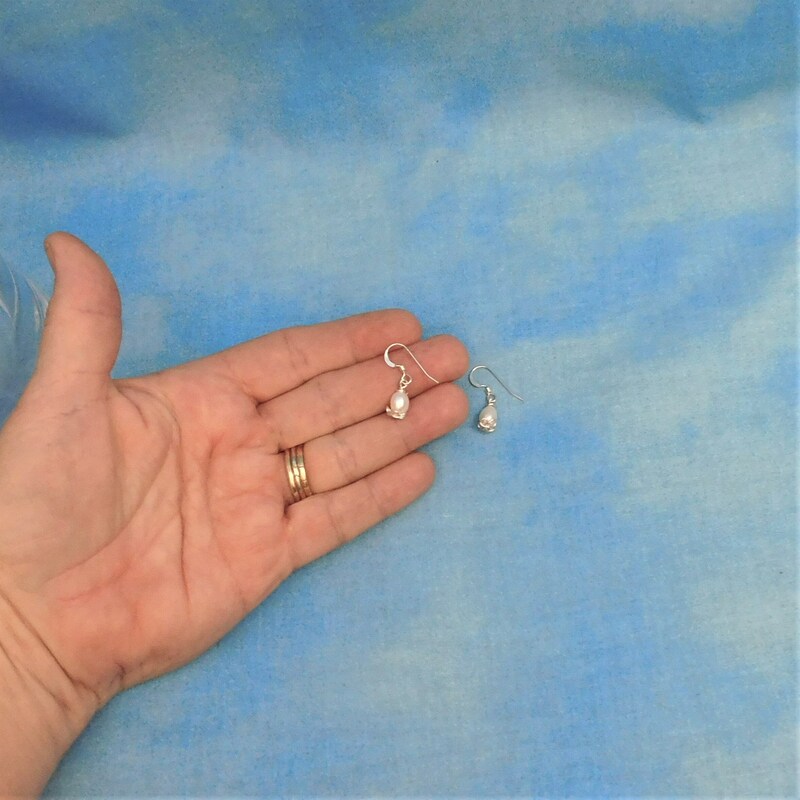 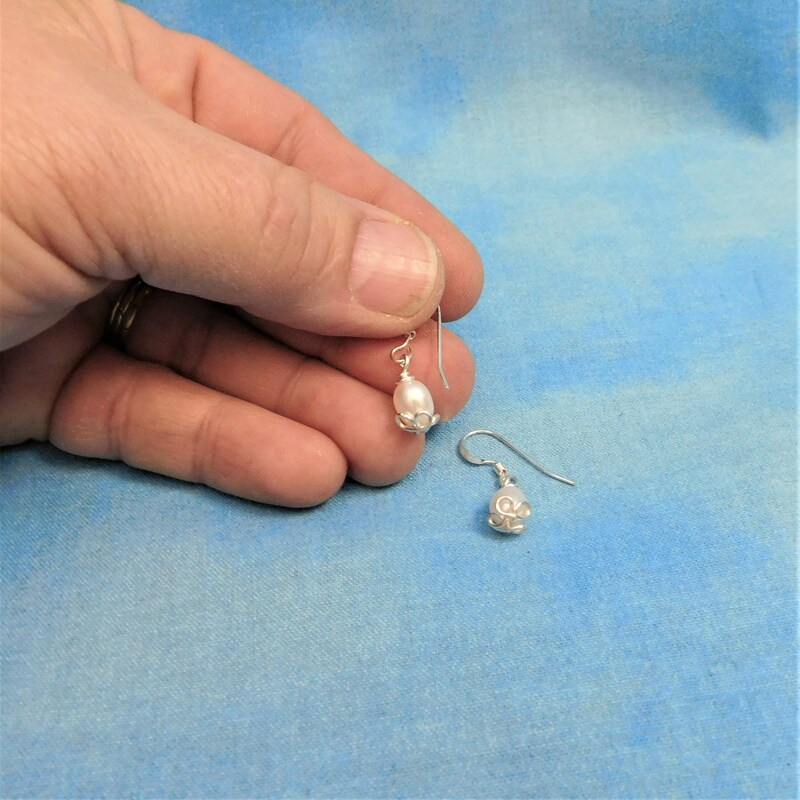 These are fun earrings that are comfortable and lightweight, with a classic style that goes with any attire. 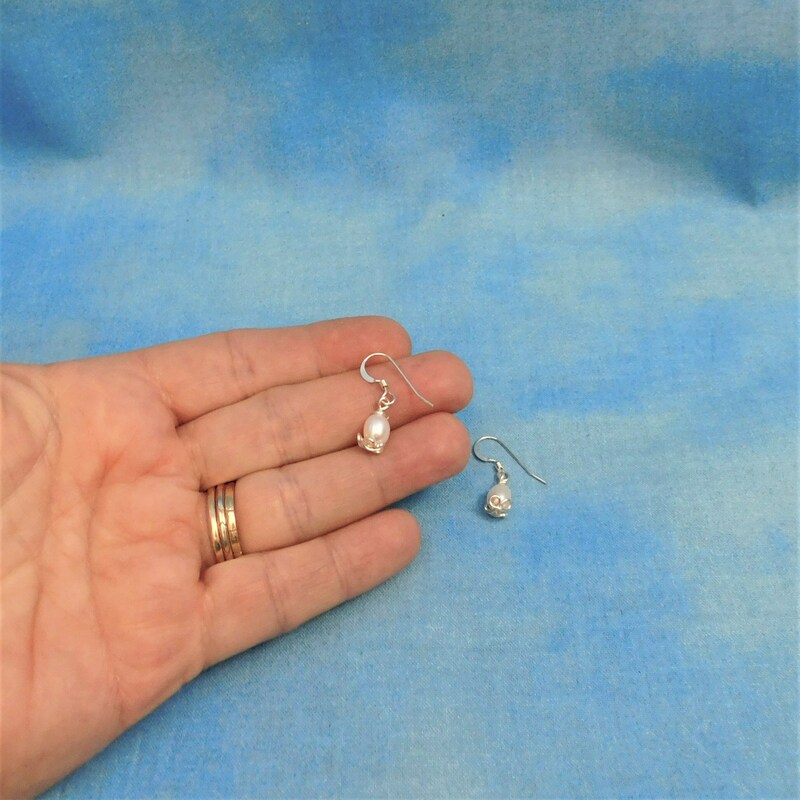 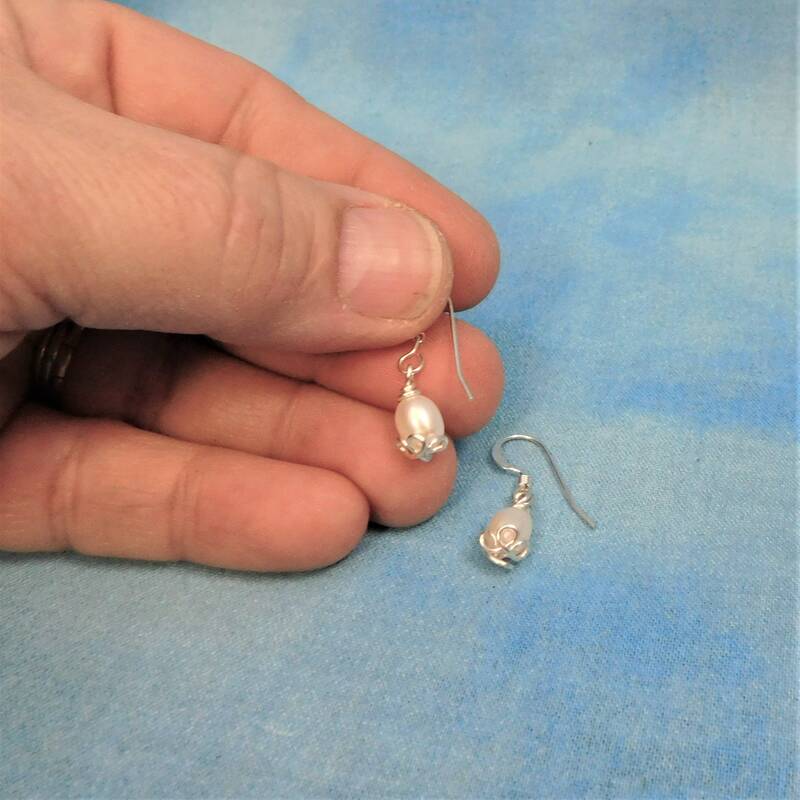 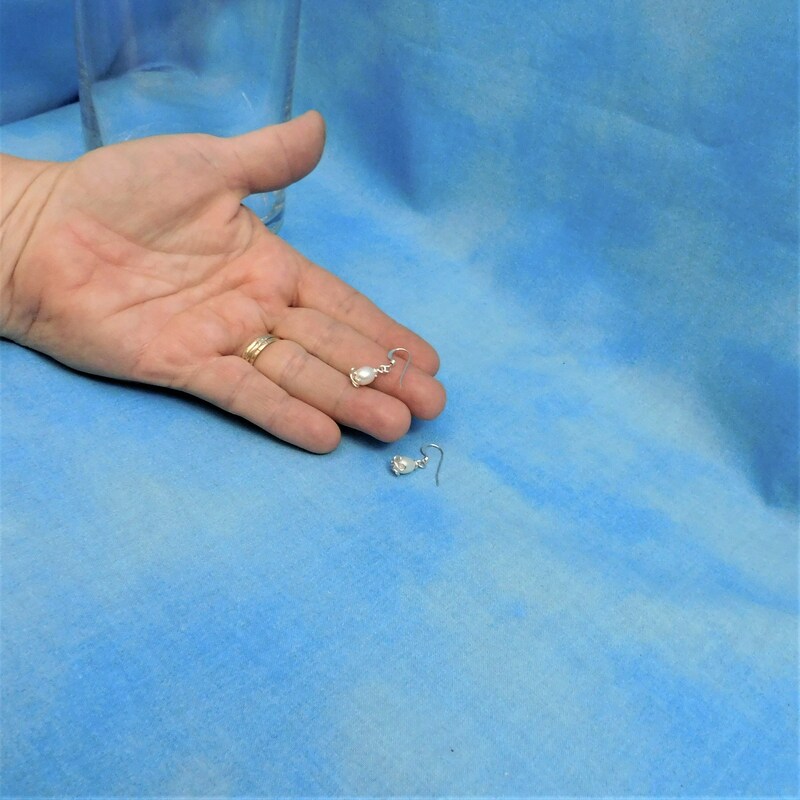 The pearls measure 1/4 inch and hang 1/2 inch from the bottom of the ear clips. 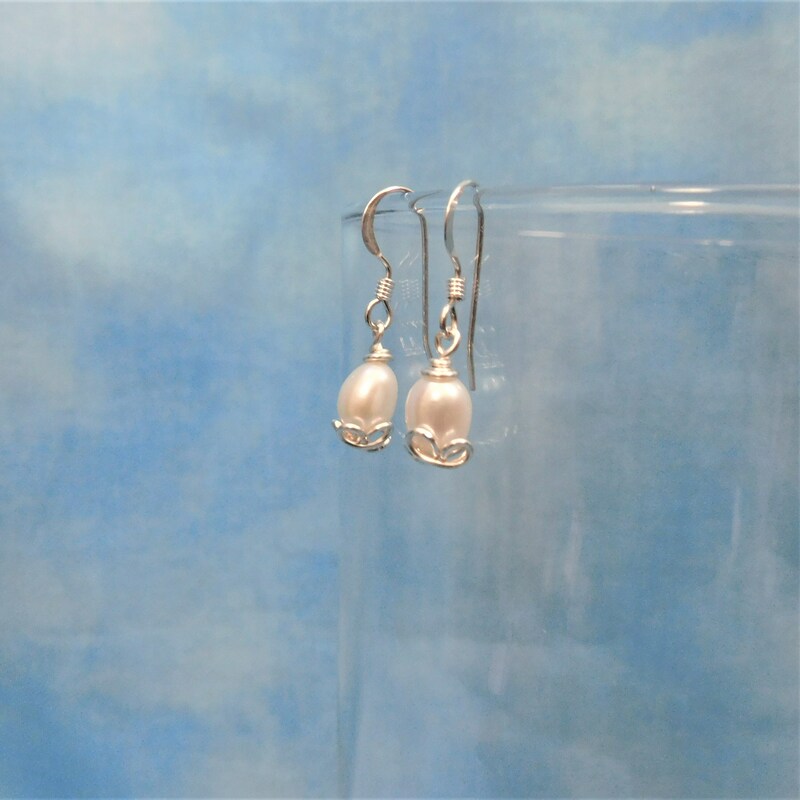 Pearl is the birthstone for the month of June.